#136: What is an Agile Life? What is an agile life? A way to continually learn, adapt and adjust, so that you can tackle any opportunity or challenge in front of you. Francie and Rae encourage that your agile life is yours to own and grow! It's time to stop starting and start finishing. 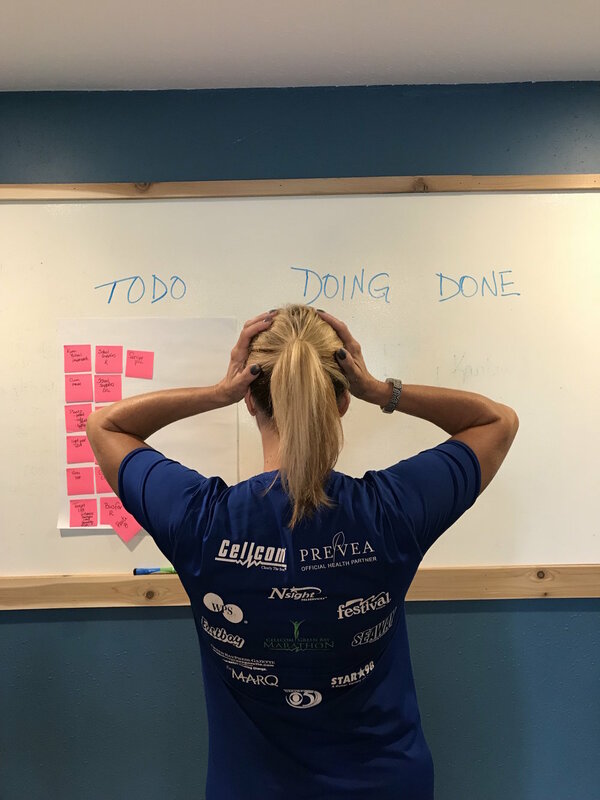 That mindset, along with using a Kanban board, is a proven way to get the right things done, in the right priority. Rae and Francie discuss what a Kanban board is, and how to use one. You know the conversation: the one when someone asks how you are, and you tell them about how busy you are, and how great that is. When did being busy become a badge of honor, anyway? In this episode, Rae and Francie discuss how to feel good about having focus, starting fewer things and finishing more things. You'll learn about using personal kanban to get a grip on your busy-ness and wrestle it to the ground. It's the first of January and summer camp registration is open! Hurry and reserve a spot for your child! Join Francie and Rae as they discuss navigating the summer schedule before spring has even arrived. When having a secret hiding place backfires, what to do? Keep calm and make a new plan. Eventually what you hid will be found. Join Rae and Francie as they talk clandestine closets. The Agile Bettys talk about the definition of done. It's simple, right? Unless you are painting a room, raising a family, writing a book, or making software. Join Rae and Francie as they talk about the ups and downs of getting things to DONE, and some Agile ways to make done happen.